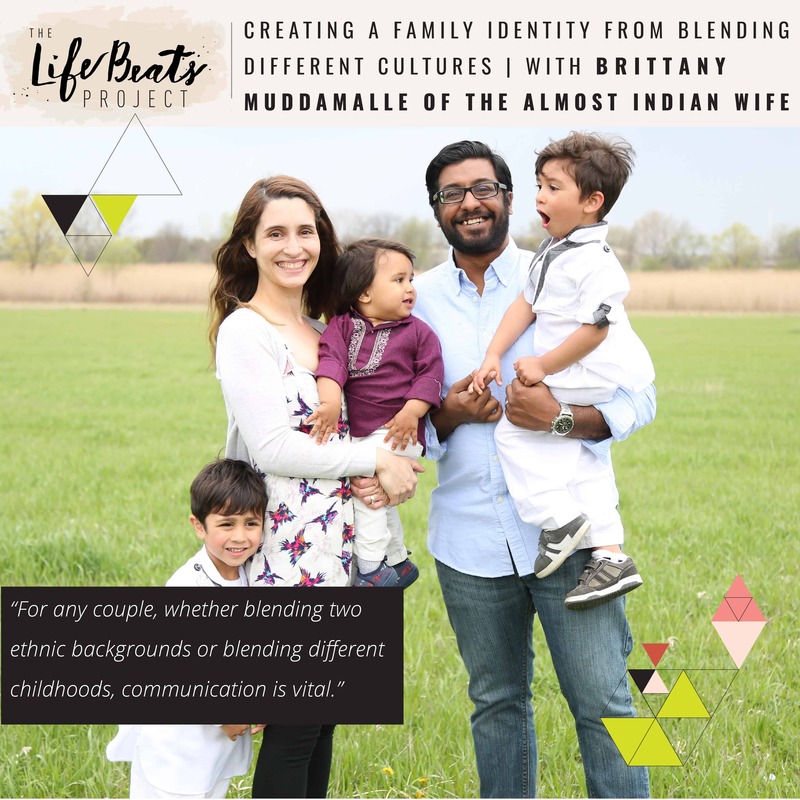 Brittany Muddamalle, the Almost Indian Wife, shares the joys and challenges of having a multicultural family, she being American and her husband from East Indian. The insights she shares on how they have developed their own family identity and culture can not only be applied to into interracial couples, but to anyone who is blending two different cultures/upbringings into one relationship. Brittany talks about being raised by a single mom and the relationships she developed with both her step and biological dads. She shares how she met her husband and why they couldn’t start dating right away. She talks about how most of their blending of cultures came after they had kids and the intentional plans they made to create their own family identity. Brittany shares how to deal with outside pressures and how to help your children deal with teasing and to feel pride for his culture. She also gives advice on how anyone can approach interracial couples with questions as well as how to increase communication in your marriage. Listen and be ready to think about how you can implement these ideas into your own family life. I am so excited to let you know that Brittany’s e-book that she gave us a sneak peek of in the episode is launching today!! In “The Wife’s Guide to Intercultural Relationships” Brittany provides insights on blending cultures, dealing with outside pressures, and what it looks like in your marriage and with your kids. This e-book is for anyone blending two different upbringings or cultures into one relationship. She is offering 20% off, that’s $1 off her $4.99 e-book for The LifeBeats Project listeners by entering the code ‘lifebeatsproject’ at checkout by clicking here. Want to know if this episode it for you? This episode is perfect for someone who is looking to blend their and their partner’s culture into one family identity and for someone who is looking for some advice on enhancing communication in their relationship or marriage. It is also perfect for someone looking to raise bilingual children and children open to embracing other cultures. It is also great for someone curious on how one family has blended two cultures to create their own unique family culture.